At Chad’s Carpet Care, we want to help you keep your flooring and surfaces as clean as possible – for as long as possible. One way we can extend the life of your tile surfaces and help keep them cleaner for longer is through the application of grout sealant. Grout sealant protects your grout from future staining and contamination. With grout sealer, you will have an easier time cleaning your tile surfaces and can often extend the time between professional cleanings. Grout is obviously an incredibly useful material. It holds together tile surfaces all around the world, and has for a very long time. But grout does present a few difficulties for homeowners, particularly when it comes to cleaning. Because grout is porous, it tends to absorb materials that come into contact with it. Dirt, mold and bacteria all make their way into grout over time. Staining can occur fairly easily, depending on what is spilled on the grout – especially if a spill goes unnoticed and is allowed to sit on the grout for an extended period of time. 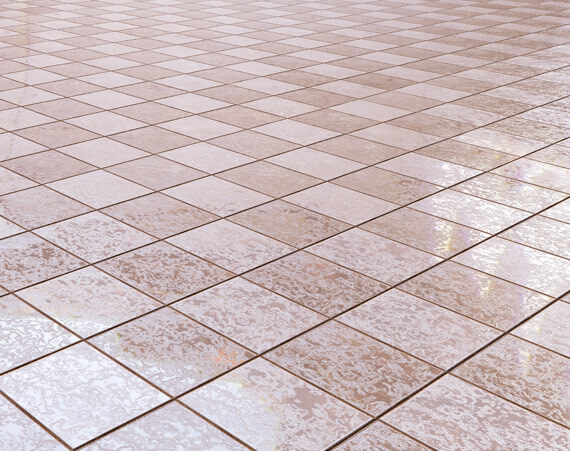 Stained grout can be a real hassle to clean, even for professionals. While we can usually get stains out using our professional equipment and techniques, it still takes a lot of work. On your own, getting stains out of grout is extremely hard. Grout sealant repels the liquids and contaminants that tend to stain your grout. The less of these materials that are absorbed into the grout, the less staining you will see. It can keep your grout and the tile looking better for longer. Mold and mildew seem to be designed to grow in grout, especially in wet areas like the bathroom. Even if you are not sensitive to mold spores, the visible presence of mold and mildew is unpleasant. Regular, thorough cleaning can help you avoid most mold and mildew growth. With grout sealant, even if mildew does spring up, you can usually wipe it off fairly easily, as it will not be as likely to be growing in the grout – only on the surface of the sealant. From a health standpoint, bacteria is probably the most worrisome problem with grout. When certain liquids and materials are absorbed into the grout, it can become a breeding ground for bacteria, which can then be transferred throughout the house and to you and your family. Grout sealant helps prevent the substances that promote bacteria growth from absorbing into the grout. We are ready to help you clean your tile and grout and seal it against all of the undesirable things that tend to accumulate. Our cleaning team helps clients all throughout South Houston and Galveston, and we are ready to go to work for you. If you would like to enjoy the benefits of grout sealant, please contact us and schedule an appointment. We look forward to helping you revitalize and protect your tile surfaces!